You know you’ve entered an entirely new realm of extravagance when you purchase something that makes the rest of the world think WTF? That is exactly what these ten billionaires did. 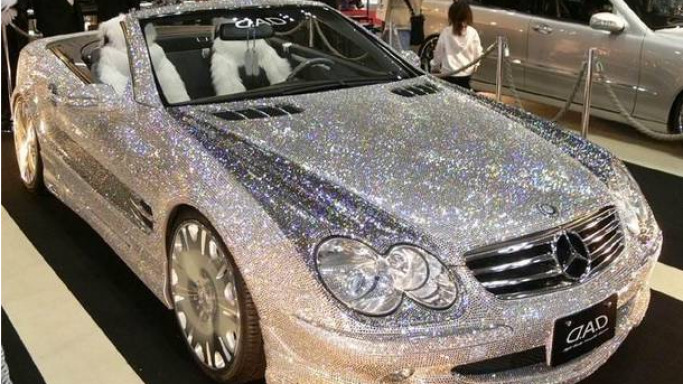 From haircuts worth a house deposit to a car encrusted with gold these lavish items will leave you speechless and a little jealous! Here are the top 10 most ridiculous things bought by billionaires. The Sultan of Brunei also dropped a cool $14 million on a car. While it is a very beautiful and highly sought after vehicle, $14 million seems a little steep, doesn’t it? The star of India is a gold plated Rolls Royce convertible that has just about every billionaire in the world drooling over it. The Sultan prides himself on his extensive car collection and it is estimated to be worth around $300,000,000. Guess the world financial crisis didn’t hit the palace of Brunei? Alwaleed Bin Talal is also an avid car enthusiast just like the Sultan, the Saudi Prince has an impressive collection of around thirty eight cars. 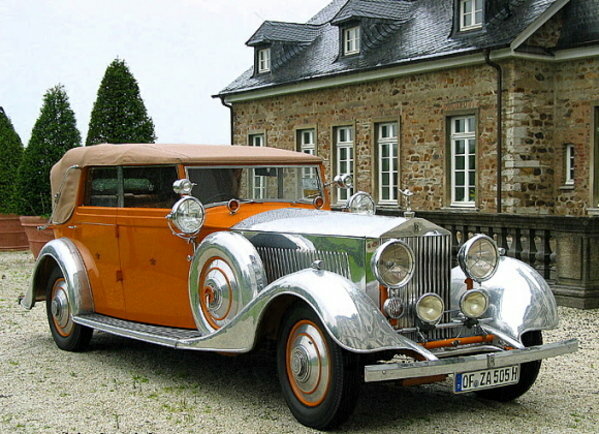 His latest purchase of a diamond encrusted Mercedes Benz set him back about $48,000,000. The one of a kind car is thought to be one of the most expensive and luxurious vehicles ever created, so you probably wouldn’t see the Prince taking it for a spin down to the local grocery store, would you? The Prince is said to be actually making money off the car (like he needs to) by charging people a whopping $1,000 just to be in the vicinity of the car. Sheikh Hamad Bin Hamdan Al Nahyan is a member of Abu Dhabi’s extensive royal family, so it isn’t too surprising that this billionaire takes the cake when it comes to purchasing the most self-indulgent item on the list. First, he bought an island called Al Futaisi, somewhere in the United Arab Emirates. Seems pretty understated doesn’t it? Not when you find out he then went on to carve his name so deep in the sand that the letters became waterways. 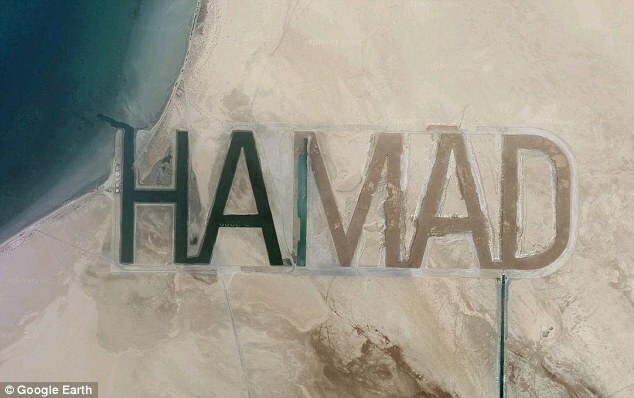 Each letter was approximately 1 km in length, all because the Prince wanted his name visible from the moon. Mukesh Ambani is part of an exclusive group of people, the top five richest living people. 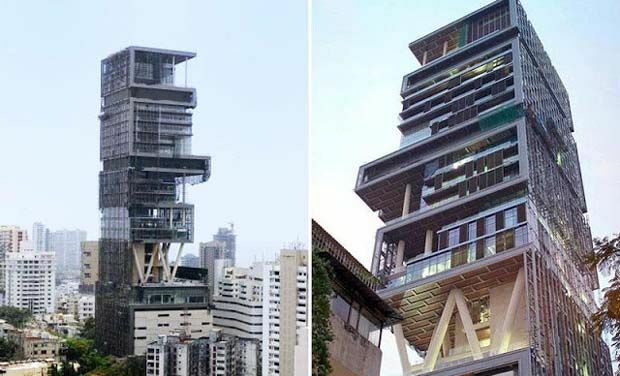 The Indian businessman has an estimated net worth of $29,000,000 so when he spent $2,000,000 of that on a house it really wasn’t that surprising. What is surprising though is that it isn’t your typical free standing mansion with a couple diamond baths. It is a 27 story skyscraper located on one of the most expensive residential streets in the world, Altamount Road. Contrary to popular belief, no you cannot see India’s slums from any of their windows. Steven Cohen is the American hedge fund manager who is basically keeping the entire art world afloat, that might be a bit of an exaggeration but Cohen has been known to splash over a $100M on a piece of artwork. Two of his most over the top purchases was a Pablo Picasso for around $150M and a William De Kooning for $137M. While most billionaires want to have toys that they can play with, Cohen is content to just have something pretty to look at. Jocelyn Wildenstein is known for her lack of facial movement and being one of the richest socialites in the world. She famously racked up a $60,000 phone bill (that is one long international phone call) and spends copious amounts of her fortune on extensive plastic surgery. 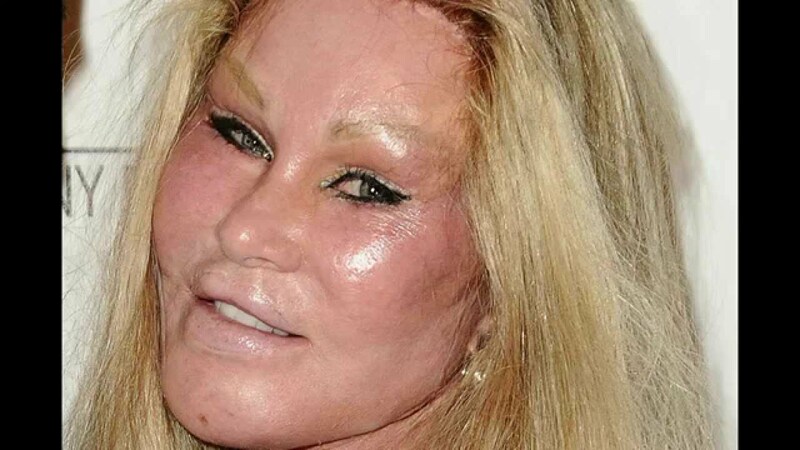 After the most expensive divorce settlement in history left her with a cool $2.5 billion to play with Wildenstein began spending her money on her face, around $4M that is. From fillers to face lifts, Wildenstein has had so much work done she is now playfully called the Cat Lady. Roman Abramovich isn’t your typical businessman, the investment company tycoon is also the owner of Chelsea Football Club. Just like most billionaires, Abramovich likes to spend his money on things that he can show off to the world. So when he purchased a mega yacht, Abramovich had to buy the largest private yacht in the world because, why not? Complete with missile detection system and two helipads it’s no surprise this splurge set Abramovich back $450M. Bill Gates is one of the most well-known billionaires in the world. From his charitable endeavors to inventing Microsoft, Gates has contributed a lot of good to the world. 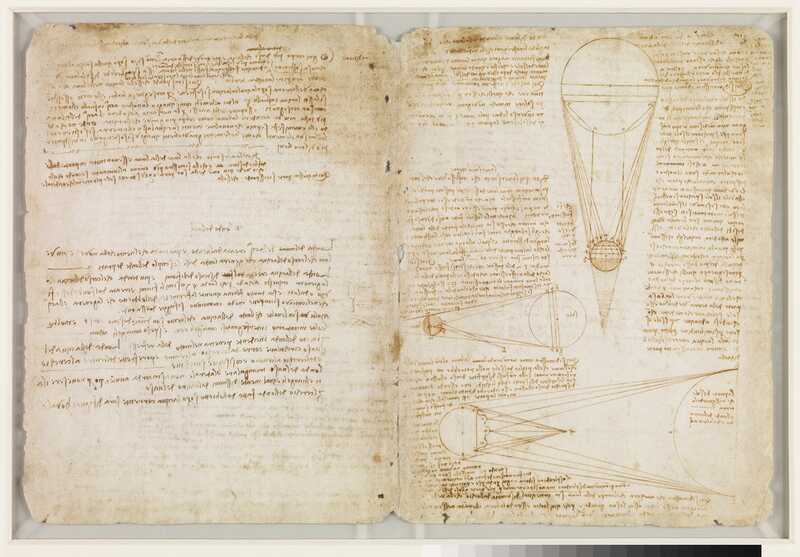 So, as a sort of reward for himself during the 90’s Gates splashed around $30M on Leonardo Da Vinci’s personal journal. The journal which is actually called Codex Leicester has been shown in certain museums over the last few decades and provides an insight into the famous polymath’s thoughts regarding the Sun, Moon and Earth. That is one pricey diary! How much would you pay to know the time? Well, an anonymous bidder paid a staggering $25 M for a one of a kind time piece. 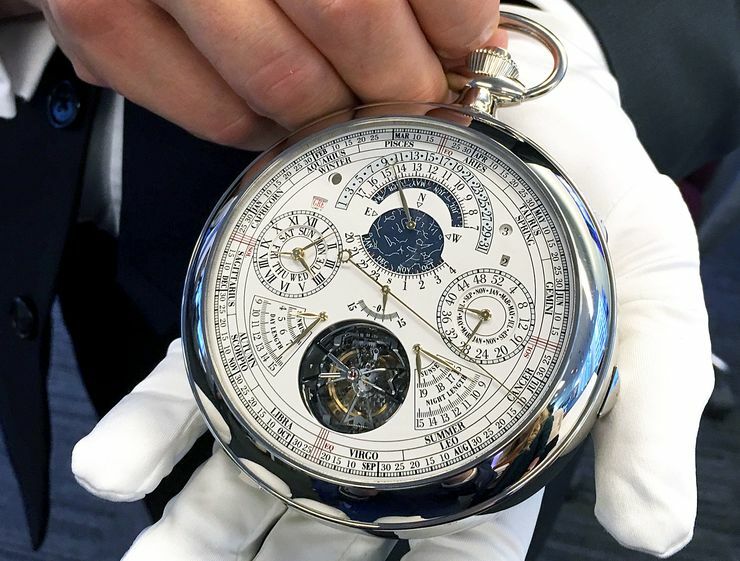 Not only is it the world’s most expensive watch but it is also the most complicated. Since it’s made out of gold (obviously) and is nearly 7cm thick it weighs nearly a pound. Not exactly the most convenient way to find out the time! At number 1 we see the reappearance of the Sultan of Brunei and his infamous private jet. Plenty of wealthy celebrities, businessman and woman want access to their own private jet, but not all of them ask for it to be dripping in gold. The aircraft resembles a palace rather than a plane but anything for one of the world’s richest men. Don’t worry though, instead of paying someone to fly him around the Sultan simply flew it himself!